The view of lake was wonderful. We enjoyed our stay....all the rooms were kept clean. We noticed a few flies in downstairs bedroom on the first day other than this issue, everything else was good. We're so glad you enjoyed your stay! We apologize for the flies, we'll discuss that with the housekeeper. Thank you for your review! The place was just as described. 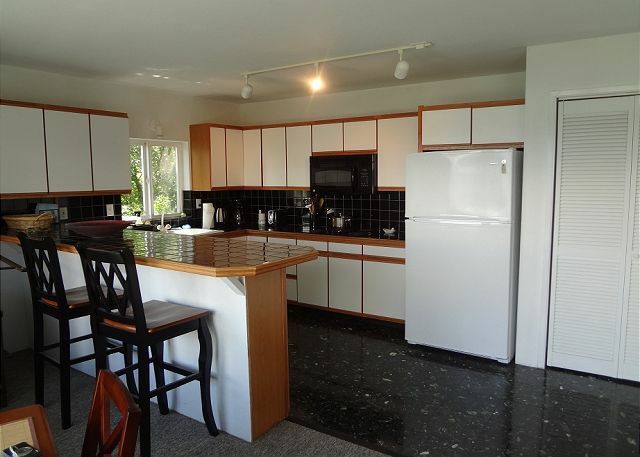 I was very satisfied with the accommodation: more spacious than described, clean, comfortable, well-maintained, well-stocked kitchen, and private. My only complaint was a barking guard dog in the home behind us, but I called management and it stopped immediately. Thank you for your comments. 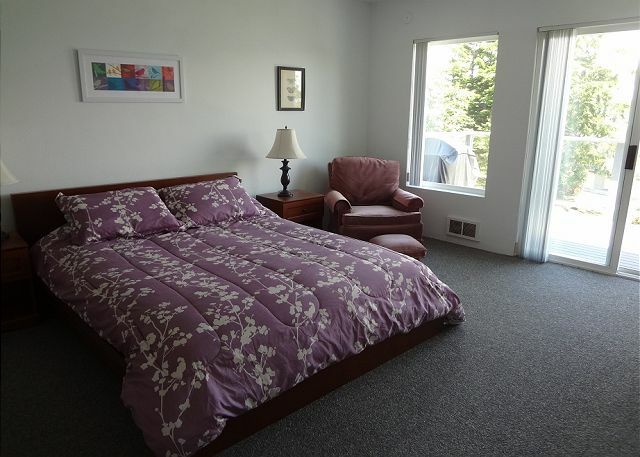 We are happy that you found the accommodations "as described", we hope to help with your next vacation on Whidbey Island. Great stay! The layout of the house was interesting, it worked well for our small family, but would be perfect for two families traveling together - especially with two kitchens. Thank you for your comments. 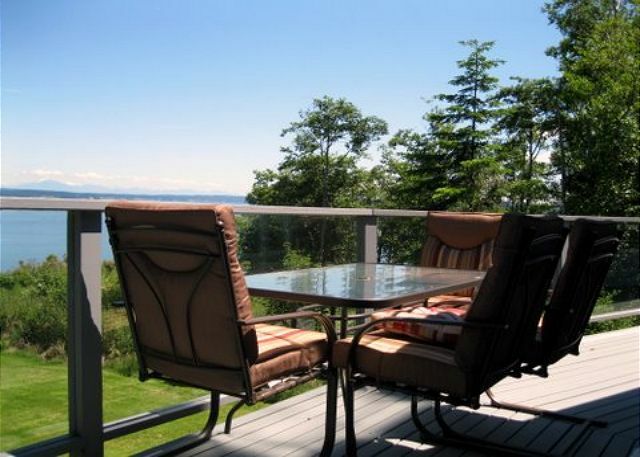 We are happy you had a "great stay" on Whidbey Island, we hope we can help you with your next vacation on the island. We enjoyed our stay in Greenbank and appreciated the convenient location of this house. The house accommodated our party of 6 people. The quality of the bedding, especially the sheets, needs to be upgraded and the garbage pick-up did not occur when promised. Being close to the Greenbank Farm was a definite plus, and it was a pleasure to see the water. Enjoyed our time at the house. 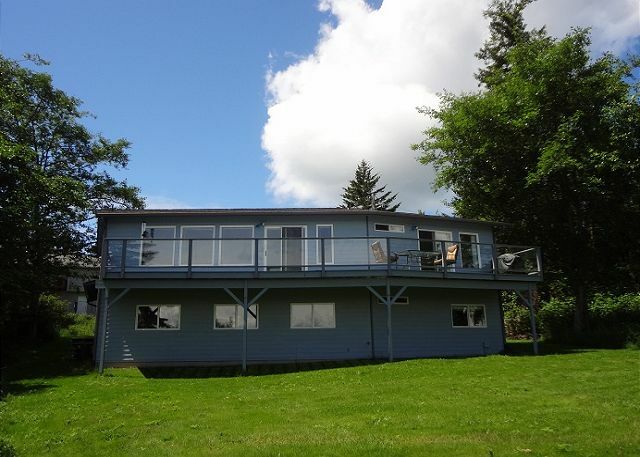 Great back porch with beautiful views of water and lots of birds.Not on the beach but we did visit the private beach and beachcombed, looked at tidal pools. Lots of stairs..inside and out. the 4th stair going to front porch is higher than others and I did trip and fall on it. Not able to park in the driveway..parked on the road shoulder which was not convient for unloading/loading. Almost went in the ditch to get off road. 2 kitchens, upstairs bed was comfortable. Love seat and chirs only in living room and only TV was downstairs, no cable-we did watch DVDs, nice selection. Lots of windows,views and light. Our extreme apologies go out to the renters for the driveway! It has been fixed for all future rentals. We needed a break from work and life in general in Seattle. We booked this last minute without looking into it too much. We LOVED it! We have a family of 6 but only 5 traveled. Perfect lay out for relaxing. Sunrises were just breathtaking and the central location allowed us to be close to everything we wanted to do. We would definitely stay there again and would recommend to others. Enjoyed our stay here but sadly, someone is building a home right in front of this house so the view to the water will not be as nice. Wished the house had more towels (we had 4 bath towels for 6 people) but other than that it was fine. Also, the owner needs to clean the outside of the house. Tons of spider nests and cobwebs. We are very sorry to this guest for the towels! 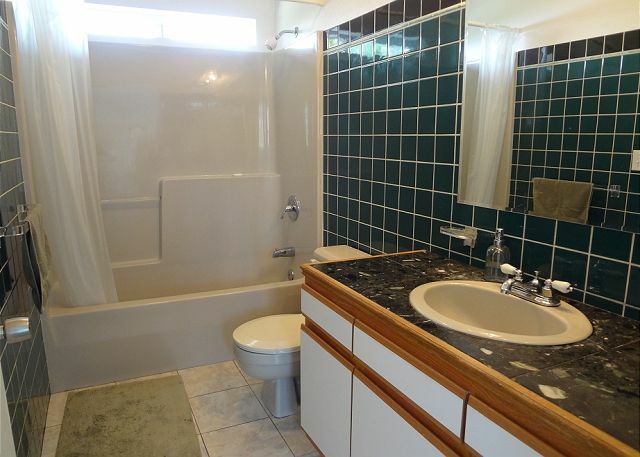 There are always supposed to be at least 6 sets of towels left for guests. We are always happy to help also if a guest wants to contact us once checking in for any questions or concerns. We take customer service very seriously, and want our guests to enjoy their stay as much as possible. We are sorry we were not aware they didn't have enough towels. The owner will attend to the outside of the house as well. Thank you for bringing this to our attention. Sadly, there is a home being built in a lot in front of this home. However with the 180 degree view that was there, there is still a lot of nice view on each side of the home. Thank you! It was wonderfully quiet and so close to Fort Casey where our son was putting in time for soccer camp. We hope to come back and stay again next year and rent again. The deer and the Bald Eagles were too numerous to count from the wonderfully large deck and the view of the lake was stunning. At night the uninterrupted night sky was beautiful and it felt as though it were there only for us to view! We highly recommend the property it is a home away from home! 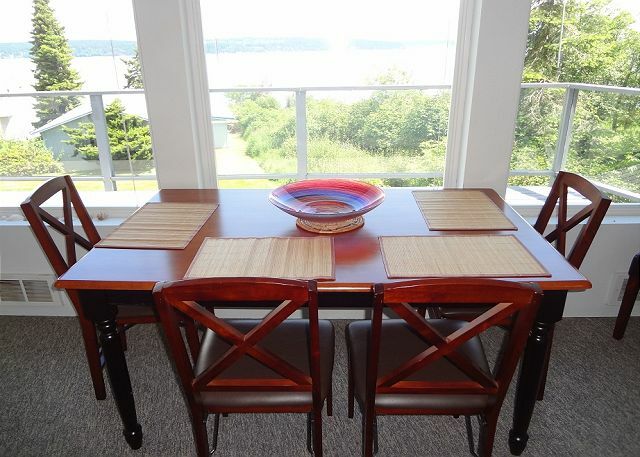 I rented this property for my family's first visit to Whidbey Island. The home was clean, cozy and comfortable. The full kitchen and living spaces on both levels was a big plus. 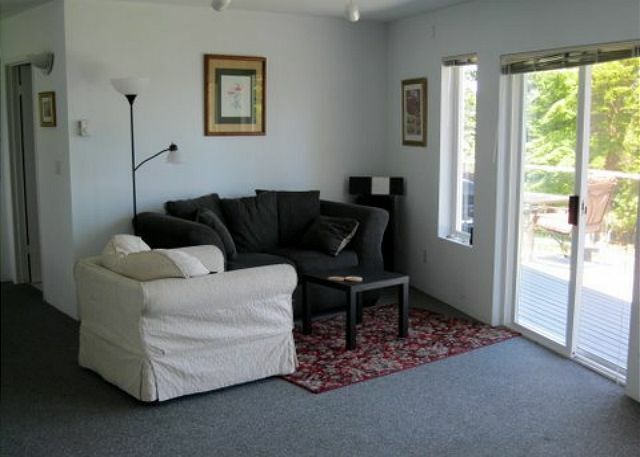 Karen, of Tara Vacation Rentals, was very professional and knowledgeable of the property and more than helpful throughout the entire rental process. Would recommend the property to anyone looking to spend a vacation on the island. The view was the best feature, along with the fact that there were 2 living areas with their own kitchen and bath. Everything worked and the house was clean and in good repair. The only downside was that there was no dishwasher, and my husband and daughter aren't big on helping in that department lol - so if there were more than 3 of us staying it could have been an issue. Otherwise, we had peace, quiet and privacy. The only visitors we had were some playful deer and a family of quail who came by in the evenings as we had our coffee on the deck. Would definitely stay again. I live near by so we rented this home to accommodate family flying in for the wedding. The location was PERFECT for us and I'm so jealous of the view. The only major complaint would be the appearance of the front yard. The walkway to the front door is kind of dangerous and uneven with bushes sticking out making it difficult to move around, especially for the elderly. The stairs leading into the home and going downstairs from the inside are not very safe either. Definitely not a home for the elderly or people with disabilities. The front yard needs some serious attention. Inside it was much roomier than expected and fully stocked. Weird that the oven is downstairs with an apartment size fridge. The oven and regular fridge should both be upstairs. Going up and down the stairs to use the oven was inconvenient. The deck is nice a spacious with a view to die for. The deck needs to be updated as we found parts of it coming apart. GREAT experience. The neighbors are wonderful... ;) and the neighborhood quiet and beautiful. I would rent again for family events. Overall this house was clean and well stocked. 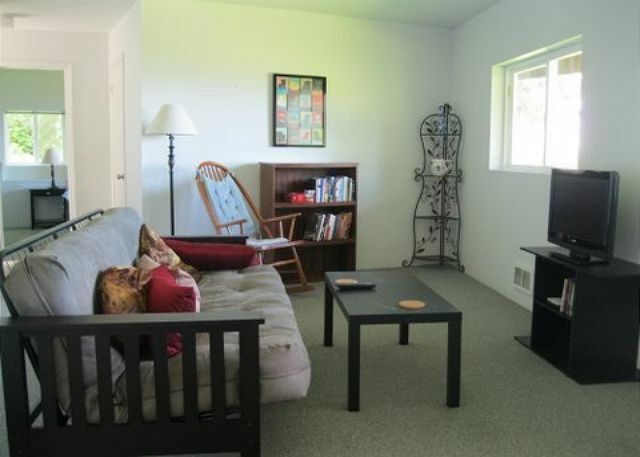 They have plenty of seating, good towels and linens, games for all ages, movies to watch, and books to read. 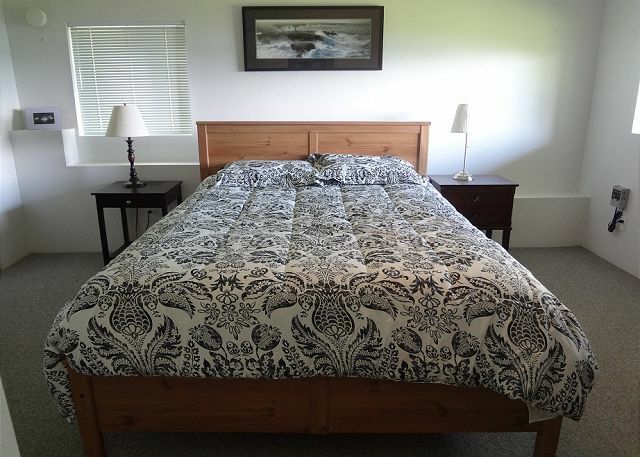 The location is walking distance to a beach though the directions could be rewritten. 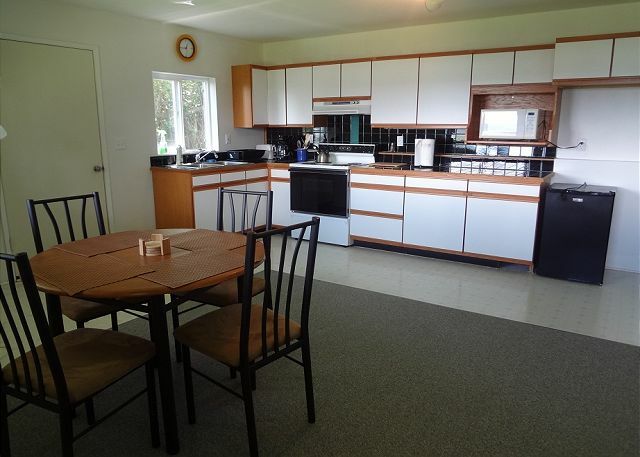 It has two kitchens, which I did not realize until we arrived. Didn't matter to us but other people might need two. The only problems we encountered was the oven in the lower kitchen did not work and electrical issues where outlets either didn't work or the plug ins would not stay in them. The rental company did not seem to be aware of this problem and called promptly when we reported them. Hopefully they will fix them before it is rented again. The location was very nice, had a great view, and we enjoyed the deer that came to visit every day. Overall we had a good stay and would return as long as the problems had been resolved. Our apologies to this renter for the difficulties they had with the electrical outlets and oven. We have replaced the outlets so that plug ins will stay firmly in place. Thank you for bringing it to our attention! 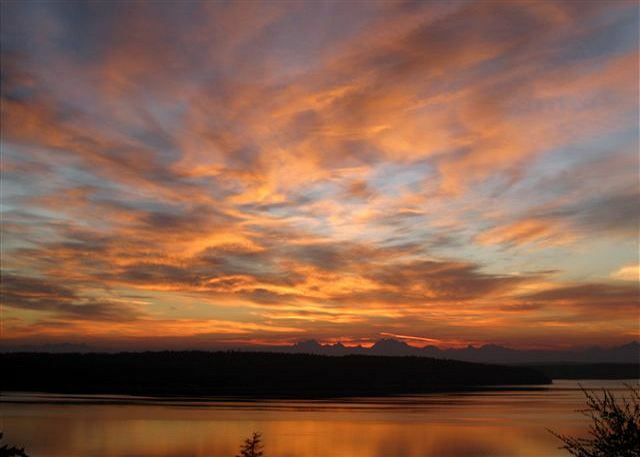 A perfect location to explore Whidbey from Deception Pass to Langley! 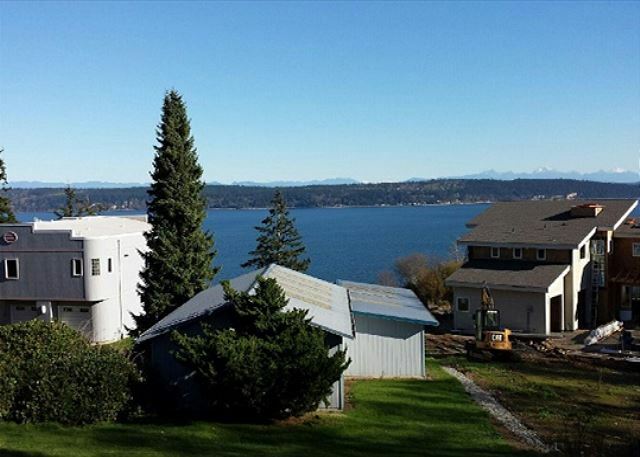 Location had privacy, a fabulous view, a wonderful yard for the kids and a fun beach to explore. Everyone wanted to stay longer! Fantastic time....Great location...Management VERY accomodating!!! Thanks! Awesome stay! Only problem was that our shower water became cold quickly since we had a large party, but other than that - great place! Water heater is standard, but having 6 adults shower simultaneous can overwhelm most hot water heaters. Our apologies to these renters for that inconvenience, and also happy they had a great overall stay! we had a very relaxing stay in this peaceful spot. We would have appreciated a bit of light at the front of the home as we arrived at night. There was reference to wifi in the materials, but it was not operational. Apologies to this renter for not having the porch light on at the time of their late arrival! Owner has since installed a motions sensor light in the front for latecomers. The owner has also now replaced the faulty internet router :) We are so sorry we were not aware it was not working prior! The view was lovely and in a very quiet area . We had a great girls time away with my daughters and sister. 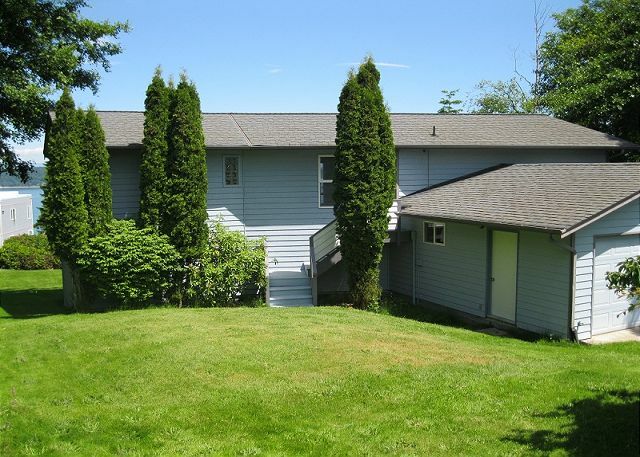 We enjoyed being close to Greenbank Farms and in a central location on the island. We enjoyed an afternoon at the private community beach but if not for a man in the private neighborhood we may not have found the keypad to open the gate. We try to remedy by writing it in the owner's book. We also enjoyed the view. The interior of the house was in great shape and we enjoyed the space and lovely view on the deck both day and night. Wish we had more time to enjoy it. A very few wrinkles and found having to do a load of towels for such a short stay a stress on the guests, but overall it was a very nice place and location.